I own a couple of Kustom Dart ’66 reissue amps, a blue one and also a white(silver?) I purchased them a couple years ago, and besides looking cool, they are pretty rad sounding little amps. They were only briefly made though as some sort of limited edition. 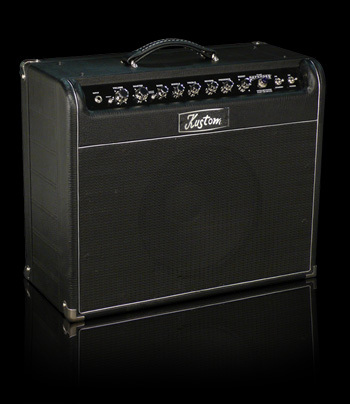 For some lame reason, the new Kustom amps are not made with the “tuck n roll” style covers. It’s kind of disappointing. The unique look of Kustom amps would seem to be the only reason one would wish to resurrect the brand in the first place. 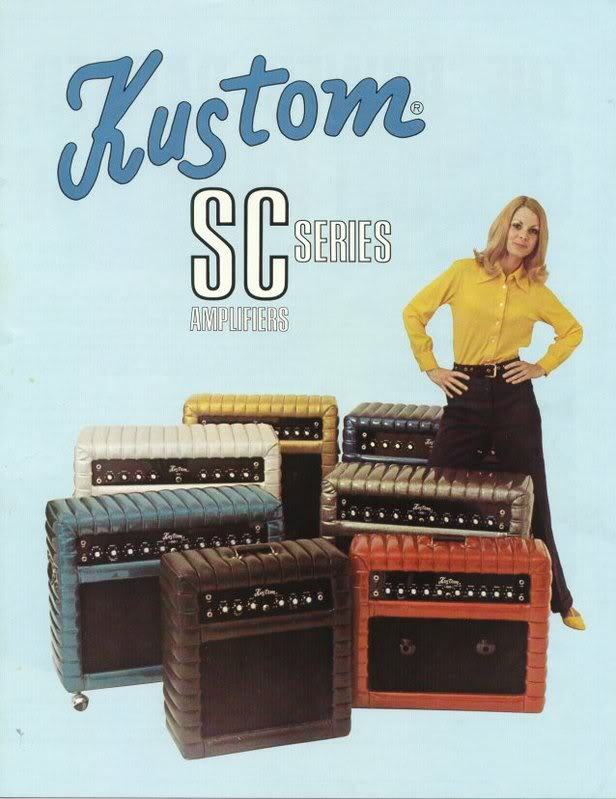 From everything I have read, the original Kustom amps of the 60’s and 70’s were non known for their sound, but mostly their looks and the fact that they were inexpensive. I’m not sure why someone chose to make “new” Kustom amps with totally unimaginative designs. example of a new production Kustom amp.